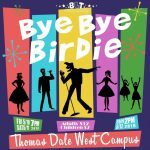 Home / BLT News / Bye Bye Birdie Auditions! Rehearsals will be at Thomas Dale West on Monday and Thursday nights and at various libraries and churches on Saturday mornings. All actors should prepare a short song that highlights their voice as well as a thirty second monologue. Ages 8+ welcome to audition. No actors paid. 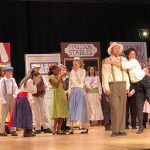 The show will be performed at Thomas Dale West Campus on May 9-12. For more information, please email directors John Cichocki and Beth Mercer at john@brokenlegtheater.org.